Hospice Care Encino : As we assist with transforming lives in Encino CA we are here to dedicate improving the quality of your life. Our Encino Hospice care services can include skilled nursing, physical therapy, occupational therapy, speech therapy, social services, and home health aide. Our hospice nurses have We experience and medical training from which allows them the ability to provide excellent hospice care. We provide experienced nurses with wound care. We also have therapy sessions for clients who have past injuries and need aide with speaking and breathing. Our nurses and caregivers in Encino are well-trained and experienced in several areas such as assisting you with walking, bathing, dressing, preparing meals, medication reminders, and companionship. We believe that caregivers are expected to handle their patients with boundless reverence and compassion that is why we have selected the best caregivers and nurses to take care of you. Our staff are highly trained, we assure you that they are able to provide any kind of home care. They are dedicated in working in your convenience while giving you with the highest quality care for your comfort. 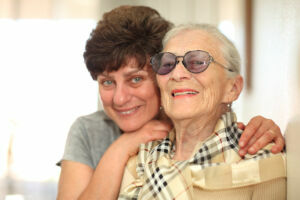 Our caregivers have a sense of empathy that is why our clients in San Fernando Valley are pleased with our services. With a keen sense of connection that they share with their patient, it is not surprising that they recover easily from a surgery or an injury. Our hospice staff has already developed a deep trust among the people they are taking care of. Our first priority is to watch your health and maintain a manageable disposition among our patients.